Maphi believes fashion helps each individual express their unique style while also sending a message about themselves to the world. And based on her looks on her blog, her fearless looks are sending all the right messages! 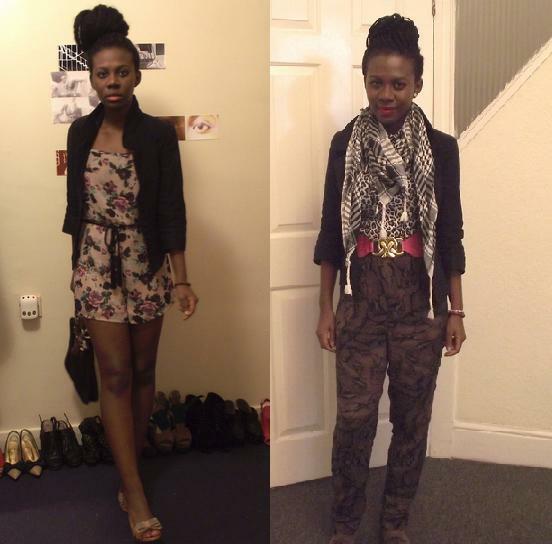 What do you think of Maphi's look? Ami of The Smallest Happiest Things! Hope everyone had a fab Valentine's Day! Maphi looks lovely. She has a divine head of hair. Wow, she's gorgeous! Love her style. She has a great sense of fashion. :) Girl, I can't wait to see your post. HaHa I got flustered with mine. Have a great day! Another blogger with great style. Thanks for the share, Cheryl. Will check out her site now. Love these looks, especially her use of scarves! I like her style a lot! She looks fab! yay!! thanks so much!!! so excited i won!!! Holy fabulous!! I'm loving her style. Very much. Wow What great style! I love that sequin slouchy cardigan...I need it. That's gorgeous stuff! The 2nd picture was LOVE. 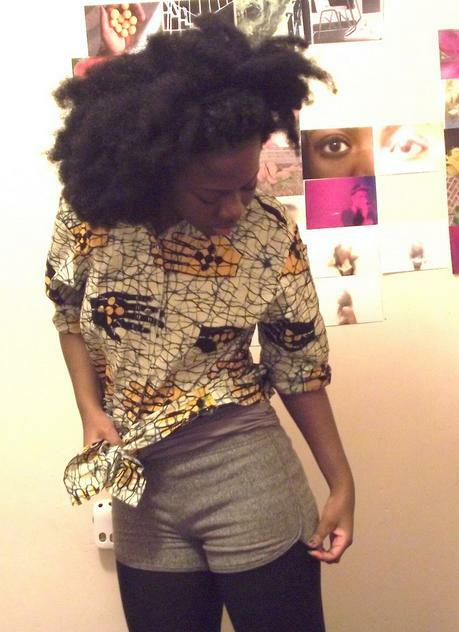 im loving her style, her name, and her natural hair! 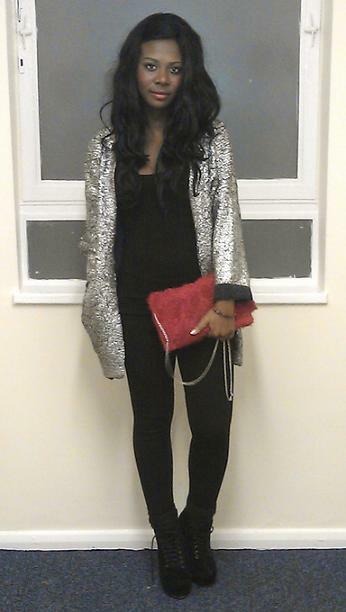 That sequin jacket is amazing! Loving the romper, too. Hi Maphi from the UK! I am so loving your style and that Ms. Cheryl has made you her Featured Fashionista!! omg, such a great hair style!